Summer weather in Florida is infamous for 2 reasons: extremely hot, humid days, and entirely unpredictable afternoon storms. In the height of summer, it's not unknown for the forecast to look identical for weeks, with every day being about 95 degrees with a 50% chance of precipitation. Flip a coin on an average day, and you'll know as well as the weatherman whether it's going to rain that day. 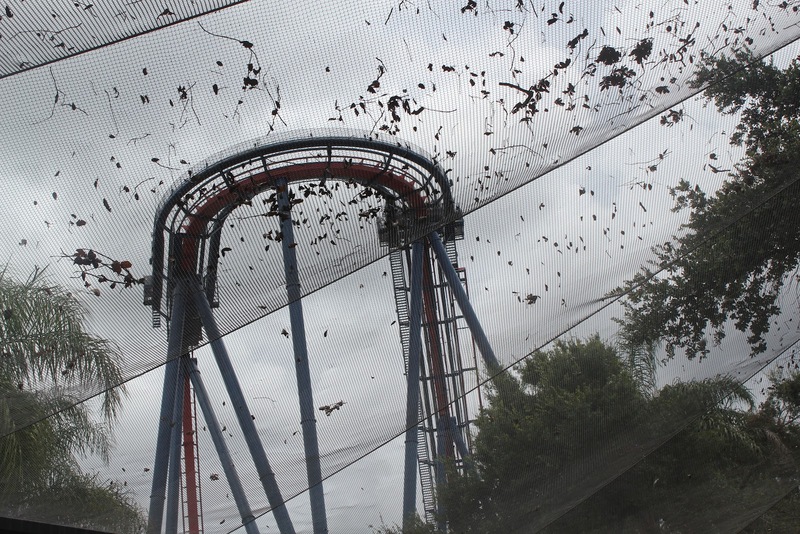 This makes rain and storm response critical in theme parks in Central Florida. In one week I witnessed two very different reactions to bad weather from two very similar parks. On Monday, July 30th, I visited Busch Gardens Tampa for the first time. Not long into my time at the park, heavy clouds began to dot the sky. Before any rain began to fall, thunder was audible, or lightning visible, the park began closing all attractions. They even closed the train ride, kicking off all passengers who had just waited over half an hour to board. The stated reason was that lightning was close enough to the park to be a risk, but it seems the storms never came close to approaching the park. At worst, a moderate rain fell for a few minutes, and the skies almost immediately began clearing afterward. Such an extreme response to even a hint of bad weather can be marked up to safety. However, hours after the weather cleared many, if not most, rides had not returned to normal operation. Guests in line were left to wait for up to 5 hours for attractions to re-open, some even napping on the ground. Instead of handing out free Quick Queues or otherwise compensating guests for their long waits, the park left them the choice of either wasting more time in an uncertain line or abandoning their spot and possibly losing their chance to ride at all. At one point, employees were indicating on park maps what rides were actually functioning. Since I had added Busch Gardens to my SeaWorld Orlando annual pass, I knew I would be visiting again and would have more opportunities to ride. However, this is prime tourist season, and I'm sure many guests left that day with few good things to say about the park. Storms can't be helped, but failing to make a quick recovery after their passing is inexcusable. In contrast, today I visited Disney's Animal Kingdom. Again, as the afternoon arrived and temperatures continued to rise, storms began to form across Florida. However, even when it started to rain, attractions remained open. 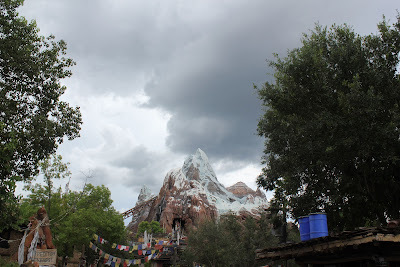 Thunder could even be heard in the distance, but Expedition Everest continued to pull trains up into the mountain. Rather than make the drastic decision to close everything at the first hint of bad weather, the park waited until storms grew close enough that they were an actual threat. In the end, this meant that nothing had to close, and operations were not disrupted. However, even on days where rides are forced to close, I've usually received a universal Fast Pass for my time waiting in line or even for just entering the park. Again, this isn't as important for an Annual Pass holder, but for an average guest, that may allow them to experience an attraction they would otherwise have to miss. In addition, when rides have closed due to weather, they usually open as quickly as possible after the worst of the weather passes. I understand that safety is number one when severe weather arrives. However, there are right and wrong ways to respond. Busch Gardens Tampa is a great park, but they disappointed me greatly in their weather responses and operations. I can definitely say I'll be more likely to visit Animal Kingdom the next time I see rain might be in the forecast.